Cool weather and river flows above normal. A bonanza of red-orange Noctiluca streaks in Central Basin with reduced fluorescence south of Edmonds. Strong red-brown bloom in Case Inlet. 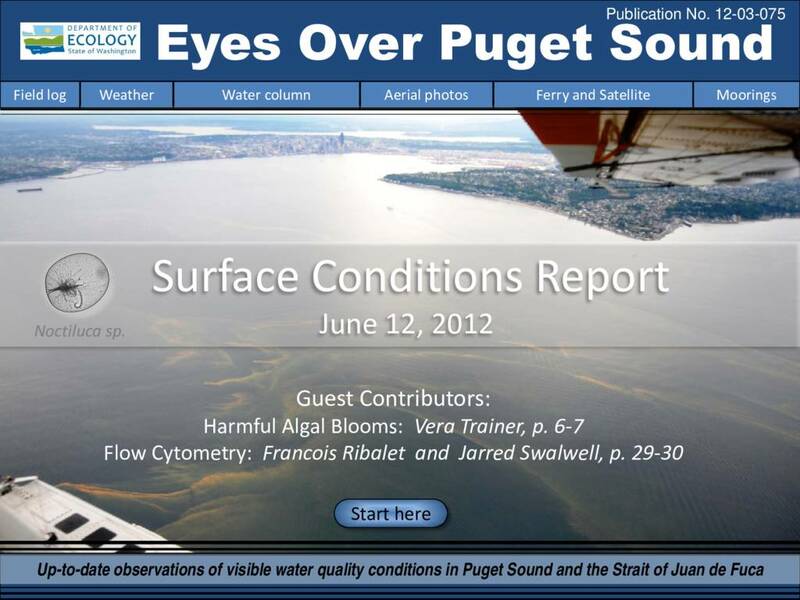 Higher DO levels in Whidbey Basin surface water. Oil sheen in Sinclair Inlet. Description Cool weather and river flows above normal. A bonanza of red-orange Noctiluca streaks in Central Basin with reduced fluorescence south of Edmonds. Strong red-brown bloom in Case Inlet. Higher DO levels in Whidbey Basin surface water. Oil sheen in Sinclair Inlet.